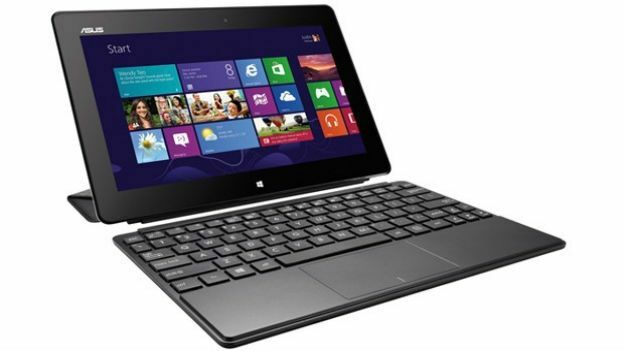 Asus has added to its line up of Windows 8 devices with a new tablet set to be revealed this week at CES. The new device is notable for bringing with it a "TransSleeve" cover that doubles as a keyboard and stand - similar to the Type Cover offered with Microsoft Surface. The Asus VivoTab Smart Tablet boasts an Intel Atom Z2760 dual core processor underneath a 10.1-inch screen with a 1,366 x 768 resolution. Asus claims the VivoTab Smart Tablet will provide up to 9.5 hours of battery life on a single charge. The tablet packs in an 8MP camera on the back with a 2MP snapper up front. The Taiwanese company has also built in NFC technology, which could mean some tailored accessories down the line. Measuring in at 9.7mm in thickness and weighing 580g, this is going to be a fairly portable device, and might appeal to some over Asus' other Windows 8 offerings like the Asus Taichi (see this month's T3 for the full review) dual-screen Ultrabook. So far, there's been no word on pricing or a UK release date. Asus doesn't have a press conference schedueled for CES this year, but we'll be keeping tabs on the company and will report back with any updates. Does bigger mean better for the Samsung Galaxy NotePRO 12.2? Plastic Logic's Papertab is flexible, plastic tablet that looks just like a piece of paper.